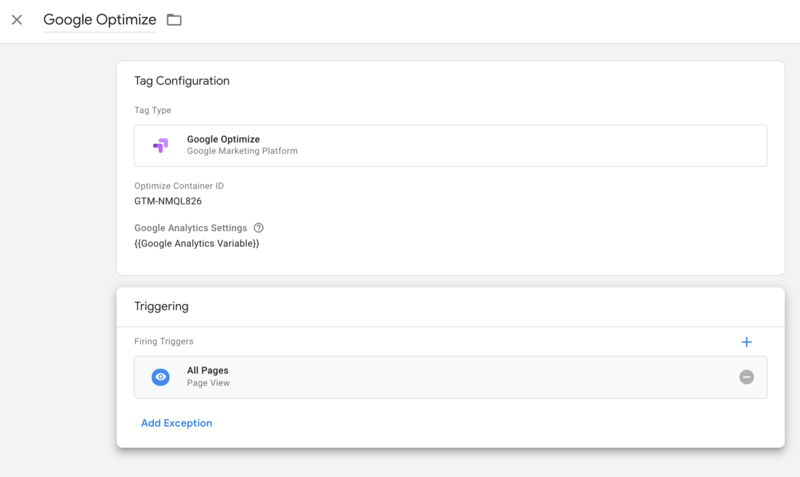 Google Optimize is Google’s version of Optimizely, Monetate, VWO, among others that allow you to test different variations of pages, content, and UX and measure how they perform against KPIs that you define. You can test layouts changes, layout additions, features, text, colors, links, etc through a/b, multivariate, or redirect (two completely separate pages) tests. These are very simple examples but testing (even small changes) can really help you learn how your customers behave to ultimately boost conversion rates. 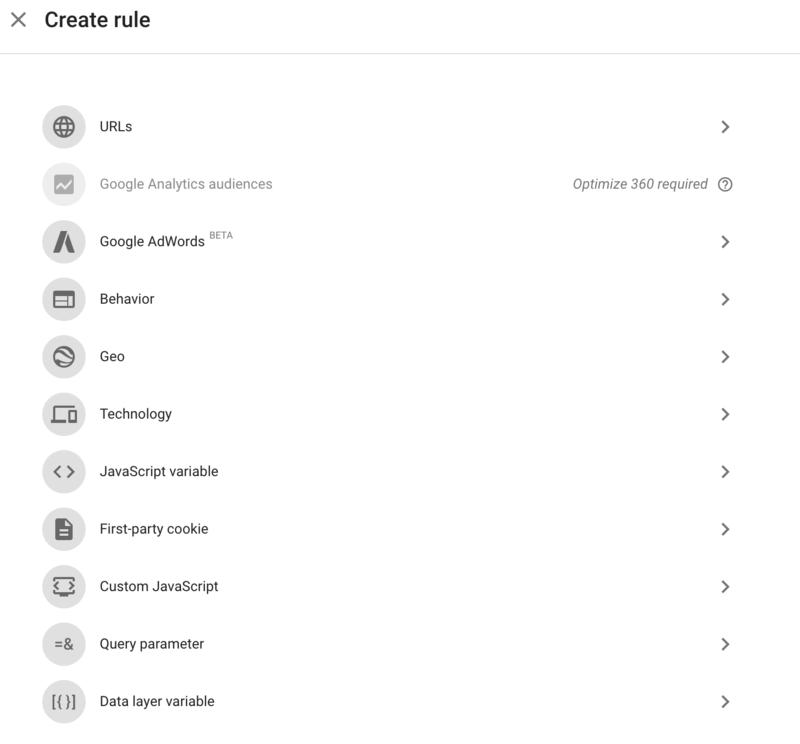 What’s even better is the ability to set targeting rules based on a user’s behavior, key traits identified through your own dataLayer (you are using our GTM Suite app for Shopify, right?! ), Google Analytics, and even based on specific AdWords campaigns. Testing + Segmentation == Winning formula! 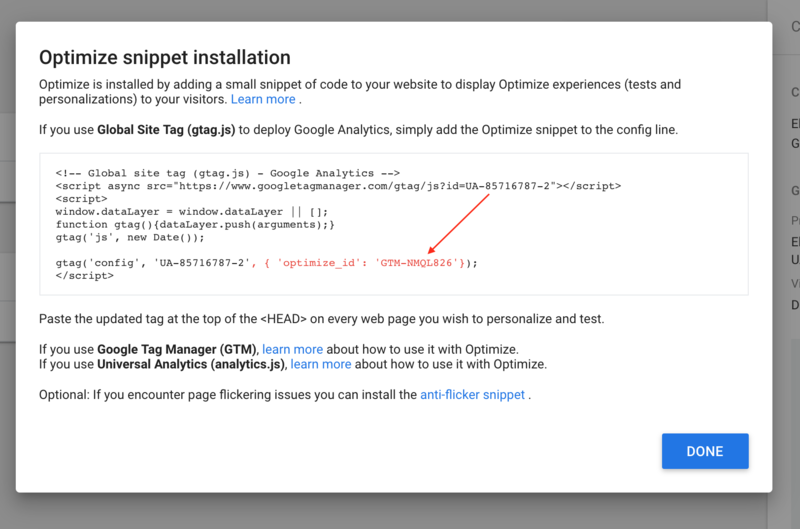 With the latest change to Google Optimize moving to the gtag.js version there is really only one way to implement Google Optimize on Shopify: implementing the Optimize tag in Google Tag Manager and the page hiding snippet inside of Shopify. Next you’ll need to head over to Google Tag Manager > Create New Tag > Select Google Optimize tag type (it’s a built in tag). Once you save this tag then you are good to publish! This is a recommended, but not required, step to help minimize “page flickering” that you will see when testing page variations. Basically what it’s doing is preventing anything from displaying on the page until the variation is ready to display. 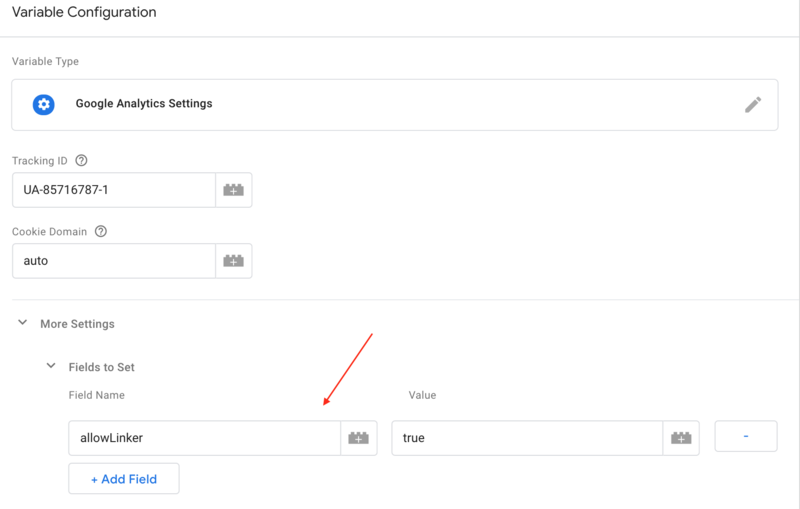 This snippet also helps ensure that users on slow connections have a better experience by only showing experiment variants when the Optimize container loads within the set timeout (4 seconds). If it’s not ready within 4 seconds then Optimize stops and the page loads as normal. You can modify this 4000 to something lower if you prefer (ex 1000 would be 1 second). Update the GTM-xxxxxx to your Google Tag Manager container ID. Yes that is correct – this needs to be your GTM container ID. Save your update (if you watched my video you’ll see I missed this step 🙂 ). If you’re not a lone wolf and you have a team, agency, or someone else who manages your codebase and deploys via Slate & Github then have them commit this change for you. Otherwise if you edit without telling them then this will likely get wiped out on the next production code deployment. Once you’ve created and launched a new experiment in Google Optimize then you can validate that everything is working pretty quickly. I ALWAYS use the preview options before launching any test to verify everything works as expected and I’m not introducing bugs to my site! I recommend using web and mobile previews to ensure your test (and other pages not intended for the test) are working as expected. Then you should be able to view your test and confirm there is no flicker effect. You’re now ready to launch an experiment in Google Optimize and on your way to becoming a conversion optimization expert :). If you have other issues please comment below! Thanks for this, really helpful. I’ve got a question about Step 2. Thanks Max. Yes, you can just copy the exact snippet from Google Optimize and paste into your additional scripts configuration. The additional lines of code in my screenshot is GTM. I installed Google Tag Manager on Shopify using your tutorials How to Implement Google AdWords gtag.js on Shopify, thanks fo that. I’m now trying to install Optimize following this tutorial but I still receiving an errors regarding a mismatch with “allowLinker”. There is no ways I can get rid of it. Thanks for the note, this is something new that I’ve started to see as well. I’ve just added a screenshot of how to resolve this issue in the post above. AWESOME ARTICLE!!! Cheers for that! Can you advise on how to overcome revenue tracking? This is the biggest obstacle with testing on Shopify…. I keep getting an issue “Uncaught SyntaxError: Invalid or unexpected token” for the ga(‘require’) line, despite following your instructions exactly. And Google Optimize doesn’t recognize the installation. Hi Niklas – can you send a screenshot of your GA additional script field settings? Although, it looks like you got it worked out onsite already! Great article – Unfortunately it is not working for me – can you take a look? Happy to help! Can you post screenshots of your settings that you’ve implemented? I follow the same steps but still getting error can I send you screenshots?